For dry and very dry skin. 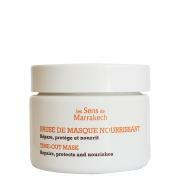 Dry skins, even the most sensitive skins,. 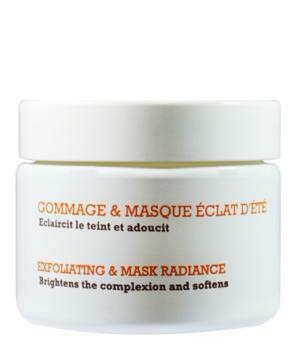 A 2 in 1 exfoliator and mask with a base of dates extract, kaolin argan oil, hyaluronic acid. For a radiant complexion and flawless skin, this scrub mak gently exfoliates thanks to the argan particles and the cream's texture that flakes off. Its merchanical massage-flaking action, leaves the surface skin free from all impurities while argan oil and dates extract nourish it. The face is luminous, the complexion is radiant and flawless, the refined skin is exceptionnally soft. For busy women who want fast care to an immediate result . Dry skin even the most sensitive . Hyaluronic acid: moisturizing and anti-aging . 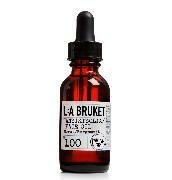 Gives the skin strength and elasticity. 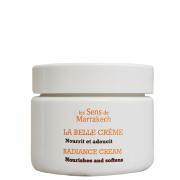 Apply evenly on a clean and dry skin all over face and neck. Flake off with your fingers using large sweeping motions. Rinse carefully with vegetable sponges. To use 1 to 2 times per week. Delicate alliance between figs and dates. I like the packaging wich is enough and the cream is great.